With peace has come prosperity. Burdens have been great, but the strength to bear them has been greater. The condition of those who toil is higher, better, more secure than in all the ages past. Out of the darkness of a great conflict has appeared the vision, nearer, clearer than ever before, of a life on earth less and less under the deadening restraint of force, more and more under the vitalizing influence of reason. Moral power has been triumphing over physical power. With peace has come prosperity. Burdens have been great, but the strength to bear them has been greater. The condition of those who toil is higher, better, more secure than in all the ages past. Out of the darkness of a great conflict has appeared the vision of a nearer, clearer than ever before, the [of] life on earth less and less under the deadening restraint of force, more and more under the vitalizing influence of reason. Moral power has been triumphing over physical power. Education will tend to bring reason and experience of the past into the solution of the problems of the future. We must look to service and not selfishness, for service is the foundation of progress. The greatest lesson that we have to learn is to seek ever the public welfare, to build up, to maintain our American heritage. Digging a little deeper, I discover that the first part of this quote also appeared in Coolidge’s Thanksgiving Proclamation on November 27, 1919, when he was Governor of Massachusetts. Knowing a good turn of words when he wrote it (I’m assuming he didn’t have ghost writers then), he used the same words in making phonograph recordings of speeches to be distributed in the election campaign of 1920, before radio was available to carry speeches to voters. 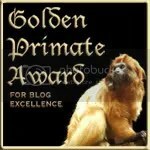 I have made minor corrections in the transcript, from the earlier text and the audio delivery. According to Talking History, the 78 rpm record and audio version were saved and made available by the Library of Congress. It’s another one of those mostly-unexplored crevices of history. 90 years ago this August, President Warren G. Harding died in a San Francisco hotel, while on a trip visiting western states. Harding’s death promoted Calvin Coolidge to the presidency. They were Republican presidents in one of the hottest stock market eras of all time, during the Roaring ’20s. Their policies probably helped lead the nation to the financial ruin after the dramatic stock market crash of 1929. Perhaps its no wonder people would like to forget that fascinating time — but shouldn’t we really give Harding and Coolidge some diligent study? 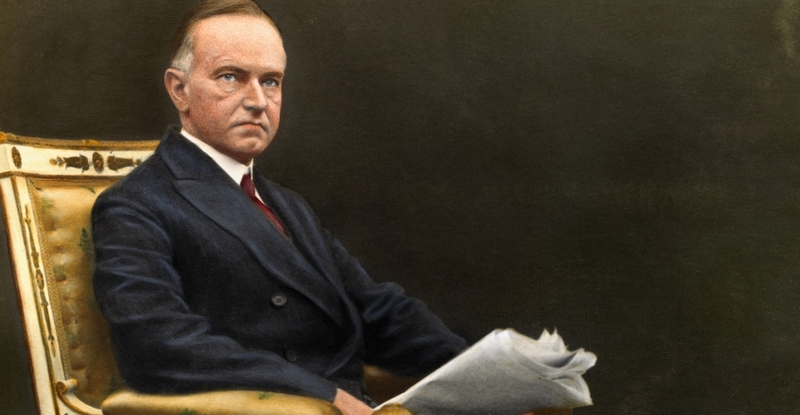 Consider: Harding and Coolidge would be the last ticket to defeat Franklin Delano Roosevelt for anything; FDR’s reputation rests on his rollback of Harding-Coolidge-Hoover policies. But in 1920, FDR’s ticket ran on policies more similar to those policies than opposed to them. Odd how history turns sometimes. A Democratic leader, William Gibbs McAdoo, called Harding’s speeches “an army of pompous phrases moving across the landscape in search of an idea.” Their very murkiness was effective, since Harding’s pronouncements remained unclear on the League of Nations, in contrast to the impassioned crusade of the Democratic candidates, Governor James M. Cox of Ohio and Franklin D. Roosevelt. Harding took office promising to be a business-friendly president, meaning he supported the big money guys. Laying out a lesson of history that too many today never learned, Harding led Washington to cut taxes on the upper income levels and bigger businesses, and set up the Roaring ’20s economy that would lead to the financial collapse of the U.S. in 1929, plunging the nation into the Great Depression. Off the job, he played poker at the White House with bootleg whiskey on the table. No Treasury “revenuer” would bust the President and his high-rolling friends. Shaken by the talk of corruption among the friends he had appointed to office, Warren and Florence Harding began a tour on June 20, 1923 of the West and Alaska. He hoped to get out and meet people, to shake hands and explain his policies. Although suffering from high blood pressure and an enlarged heart, he seemed to enjoy himself—especially in Alaska. On his return journey, he became ill with what was then attributed to a touch of ptomaine (food) poisoning. The presidential train rushed to San Francisco, where his condition worsened. On August 2, he most likely suffered a heart attack in the evening, while his wife was reading to him. He died quietly and instantaneously. Word quickly spread that Mrs. Harding, the last person to be with him that evening, had poisoned him to prevent him from being brought up on charges of corruption that soon engulfed his administration. A sensationalist book published in 1930 detailed the allegations against her. Her refusal to allow an autopsy of the President only fed the rumors. Harding left the bulk of his estate, valued at $850,000, to his wife. On August 2, 1923, John Coolidge woke his vacationing son and daughter-in-law at the family home in Plymouth Notch, Vermont, to tell them of President Harding’s death from a heart attack. Coolidge knelt, prayed, and went downstairs. Although the old house had no phone, it was soon abuzz with reporters. 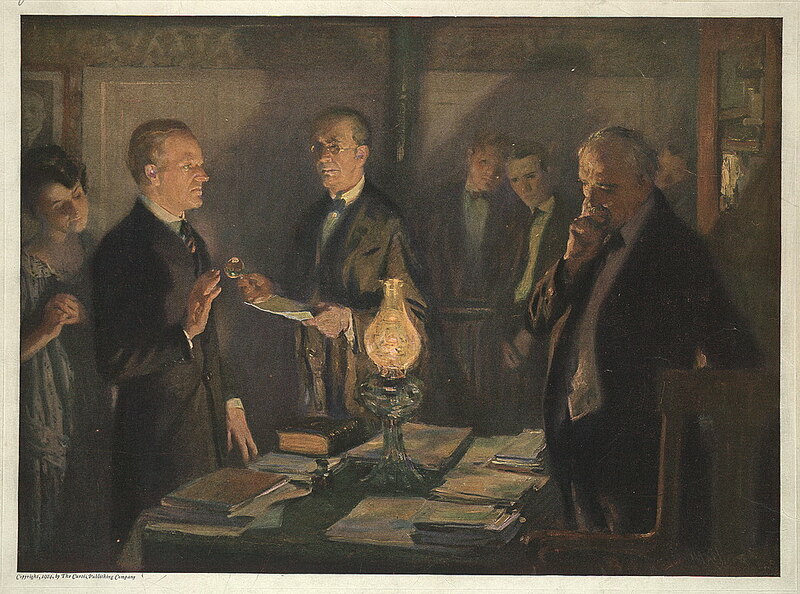 At 2:24 a.m., with the newspaper men settled and a copy of the Constitution retrieved, the elder Coolidge, a justice of the peace, administered the oath of office to his son by the light of a kerosene lamp. Soon after, Calvin Coolidge went back to bed as the 30th President of the United States. Coolidge is the only president to have been sworn in by a close family member. The “Constitution retrieved” should be a point of study of presidential aides. After the assassination of President John Kennedy in Dallas, federal Judge Sarah Hughes got a call to administer the oath of office to Lyndon Johnson before Johnson flew back to Washington. Hughes said she’d do it, but she needed a copy of the oath. Apparently not giving adequate thought, this spurred a furious search for a copy of the oath. After too long, a lawyer in the U.S. attorney’s office recalled the oath is in the Constitution, and a copy in a law book was taken to where Johnson and the presidential entourage awaited aboard Air Force 1 at Love Field. You never know when you’re going to need to remember history, and know where to retrieve some bit of law. 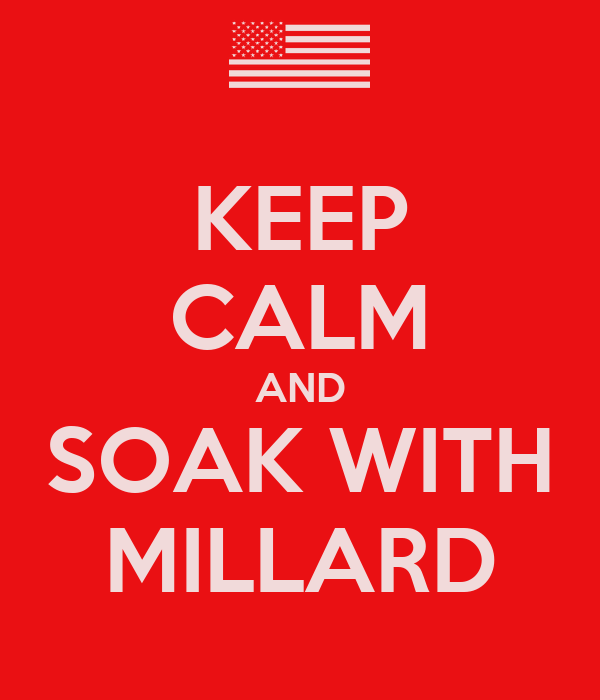 Coolidge used a calm hand at the tiller during his presidency, continuing what he and others thought to be wise policies to encourage the growth of business. He’s always struck me as one of the better balanced men in the White House. Coolidge brought Scouting into the mansion, for his two sons, John, and Calvin, Jr. — he was devoted to his family, and to outdoor recreation (though usually in a coat and tie — the fashion of the time). John attended Amherst College during his father’s term. He won his own term of office in 1924, but lost his younger son. Calvin, Jr., played his brother in tennis, but developed a blister on his foot from the match. The blister got infected, and the boy developed blood poisoning, which took his life on July 7, 1924. 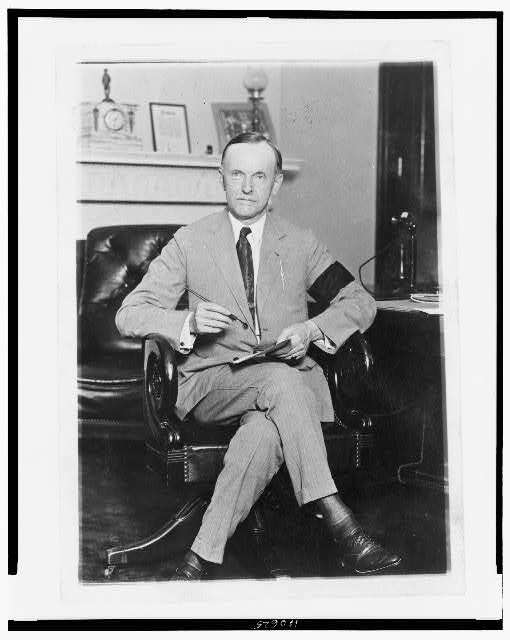 Although Coolidge, Sr., won the election that fall, after his son’s death he appeared anxious to get out of the White House. Using the “two-term” precedent as his excuse, and claiming the small part of Harding’s term as his first, Coolidge did not run for re-election in 1928. 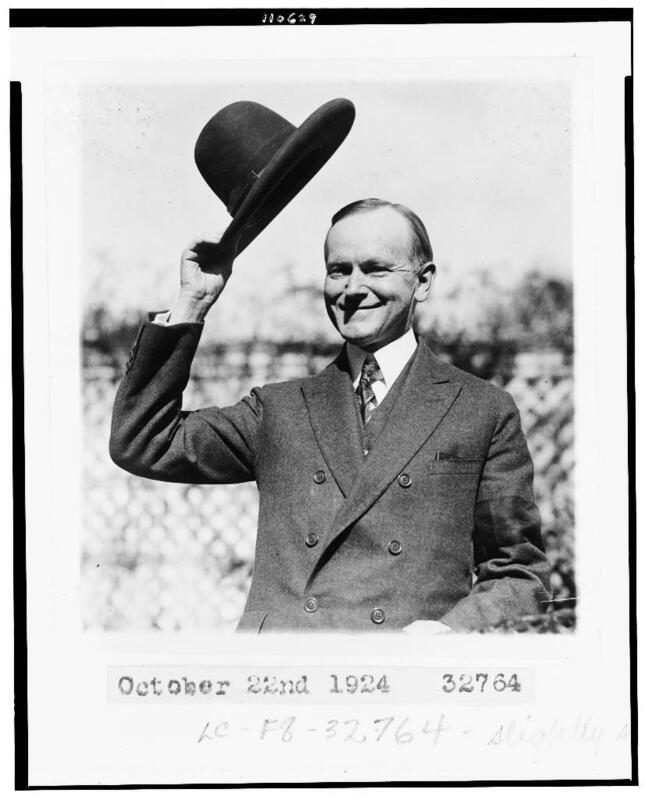 Coolidge enjoyed wearing various hats, and did not blanch at posing in clothing created for him, which means we have a rich (though limited) catalog of photographs of Coolidge in strange attire. Campaign staffs for presidential candidates since at least 1960 have made a study of this, working hard to avoid such photos, failing with some consequences. “Listen to Leonard Emmerglick’s 1987 presentation at the Miller Center on Presidential Disability and Presidential Succession. So, on June 2, 1924, all American Indians became citizens of the U.S.
English colonists, and then citizens of the new United States of America, regarded Native Americans as foreign groups, people of other lands. It’s part of a history of bad relations and bad faith between peoples on this continent that we gloss over with the good relations and good faith. One of the Indians went over to Old Town once to see some official in the city hall about voting. I don’t know just what position that official had over there, but he said to the Indian, ‘We don’t want you people over here. You have your own elections over on the island, and if you want to vote, go over there. Frances Benjamin Johnston, photographer, 1903. Previously, the Dawes Severalty Act (1887) had shaped U.S. policy towards Native Americans. In accordance with its terms, and hoping to turn Indians into farmers, the federal government redistributed tribal lands to heads of families in 160-acre allotments. 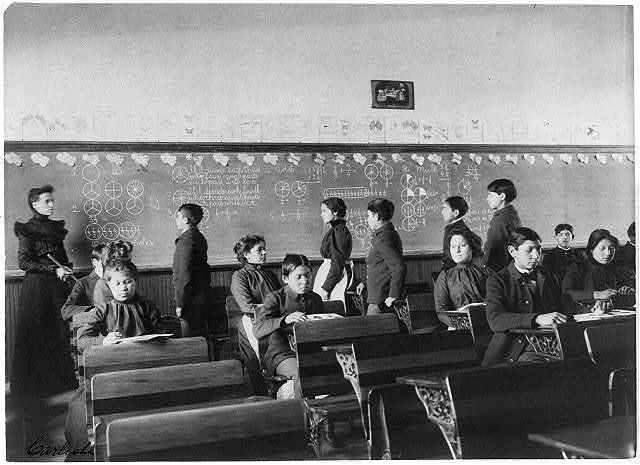 Unclaimed or “surplus” land was sold, and the proceeds used to establish Indian schools where Native-American children learned reading, writing, and the domestic and social systems of white America. By 1932, the sale of both unclaimed land and allotted acreage resulted in the loss of two-thirds of the 138 million acres that Native Americans had held prior to the Dawes Act. In addition to the extension of voting rights to Native Americans, the Secretary of the Interior commission created the Meriam Commission to assess the impact of the Dawes Act. Completed in 1928, the Meriam Report described how government policy oppressed Native Americans and destroyed their culture and society. The poverty and exploitation resulting from the paternalistic Dawes Act spurred passage of the 1934 Indian Reorganization Act. This legislation promoted Native-American autonomy by prohibiting allotment of tribal lands, returning some surplus land, and urging tribes to engage in active self-government. Rather than imposing the legislation on Native Americans, individual tribes were allowed to accept or reject the Indian Reorganization Act. From 1934 to 1953, the U.S. government invested in the development of infrastructure, health care, and education, and the quality of life on Indian lands improved. 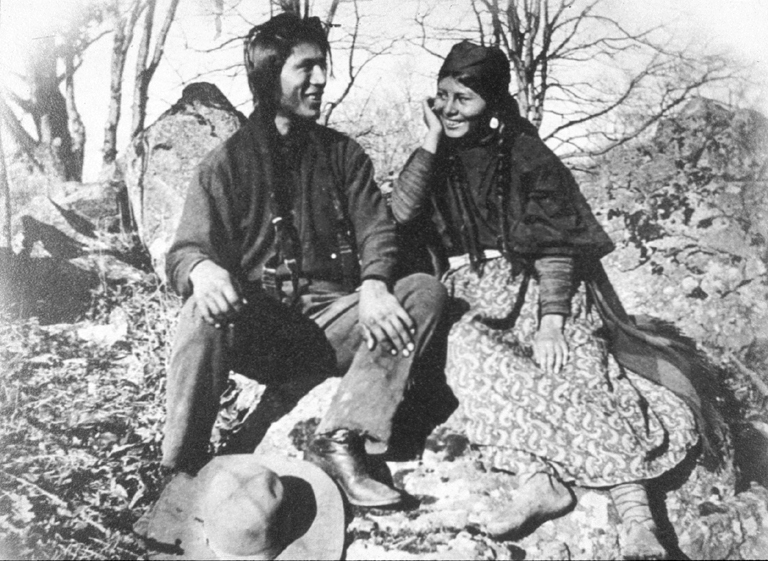 With the aid of federal courts and the government, over two million acres of land were returned to various tribes. 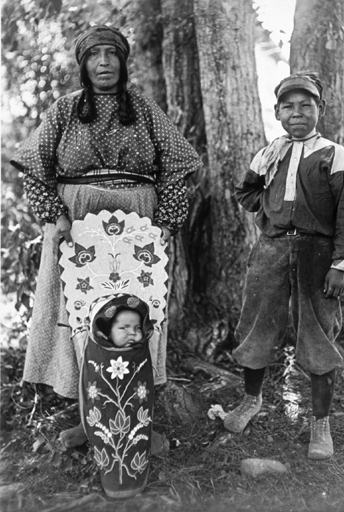 American Indians of the Pacific Northwest integrates over 2,300 photographs and 7,700 pages of text relating to Native Americans of two cultural areas of the Pacific Northwest. Many aspects of life and work — including housing, clothing, crafts, transportation, education, and employment, are illustrated in this collection drawn from the extensive holdings of the University of Washington Libraries, the Cheney Cowles Museum/Eastern Washington State Historical Society, and the Museum of History and Industry in Seattle. Listen to Native American music. Omaha Indian Music features traditional Omaha music from the 1890s and 1980s. The multiformat ethnographic field collection contains 44 wax cylinder recordings collected by Francis La Flesche and Alice Cunningham Fletcher between 1895 and 1897, 323 songs and speeches from the 1983 Omaha harvest celebration pow-wow, and 25 songs and speeches from the 1985 Hethu’shka Society concert at the Library of Congress. Search by keyword or browse the list of recorded music. View photographs documenting Native American life in the 1930s and 1940s. Search the collection, America from the Great Depression to World War II: Photographs from the FSA and OWI, ca. 1935-1945 on reservation or Indian. George Washington Papers, 1741-1799 includes many references to Indian treaties and rights; to explore this aspect of Washington’s correspondence, search the collection on Indian rights and Indian treaties. 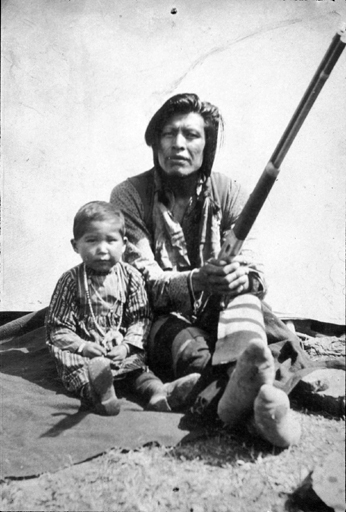 Words and Deeds in American History contains three features highlighting aspects of Native American history in the Northern and Central U.S.
Search the Today in History archive on Native American to read additional features including pages on Jim Thorpe, the Cherokee chief John Ross, the Paiute writer and translator Sarah Winnemucca, and the Wounded Knee Massacre. Photographs from the Chicago Daily News includes images of Native Americans. Edward S. Curtis’s The North American Indian: Photographic Images collection portrays the traditional customs and lifeways of eighty Indian tribes. The History of the American West, 1860-1920: Photographs from the Collection of the Denver Public Library includes images of Native Americans from more than forty tribes living west of the Mississippi River. And doesn’t that just frost the tar out of the birthers? Herbert Hoover just five years later chose Charles Curtis to be his vice presidential candidate, and Curtis served for four years. Curtis, born in the Kansas Territory before it was a state, came from Native American ancestry.